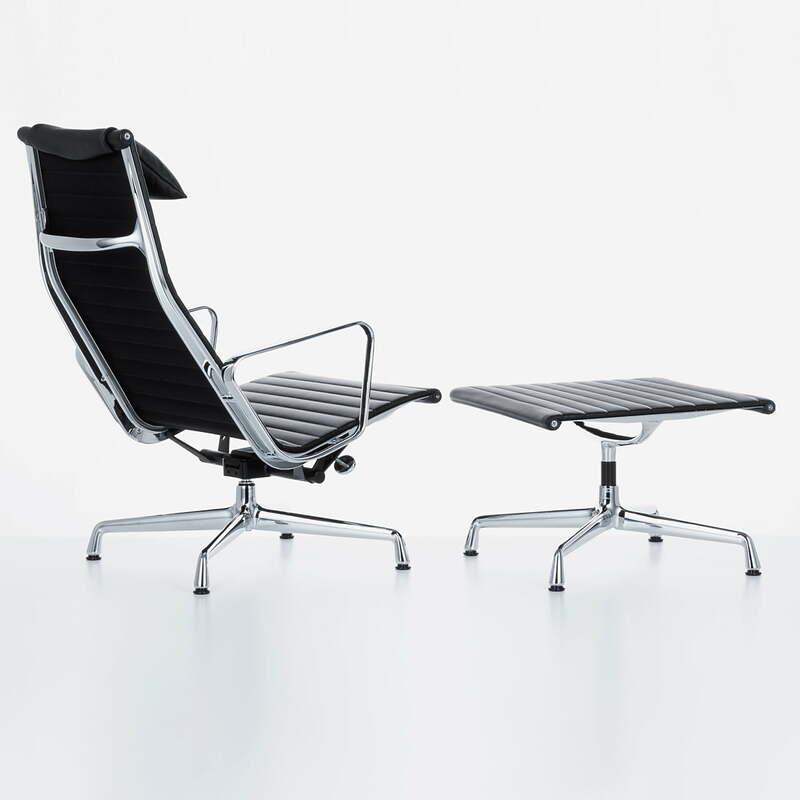 The Aluminium Chair is one of the greatest furniture designs of the 20th Century by the designer couple Charles & Ray Eames! 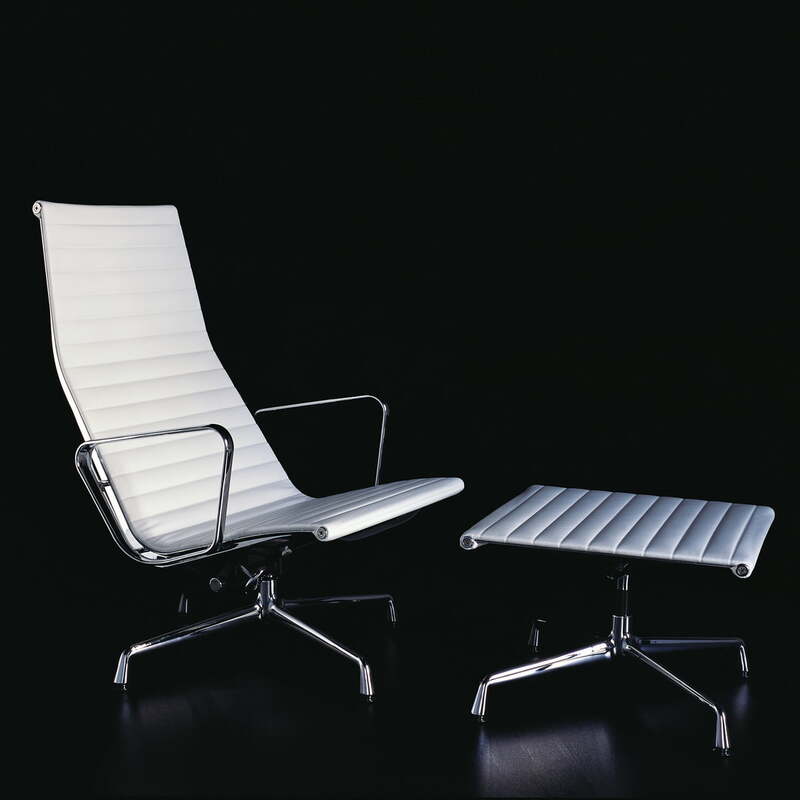 For 5 decades already, the iconographic design of the Aluminium Chair offers its modern elegance to rooms all over the world. 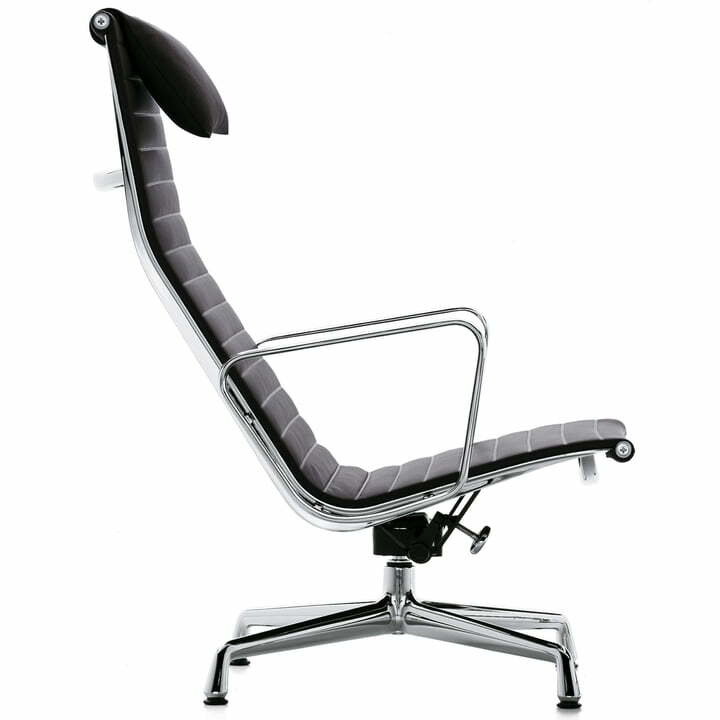 The chairs are equally popular with leading personalities of culture, politics, economy and entertainment. 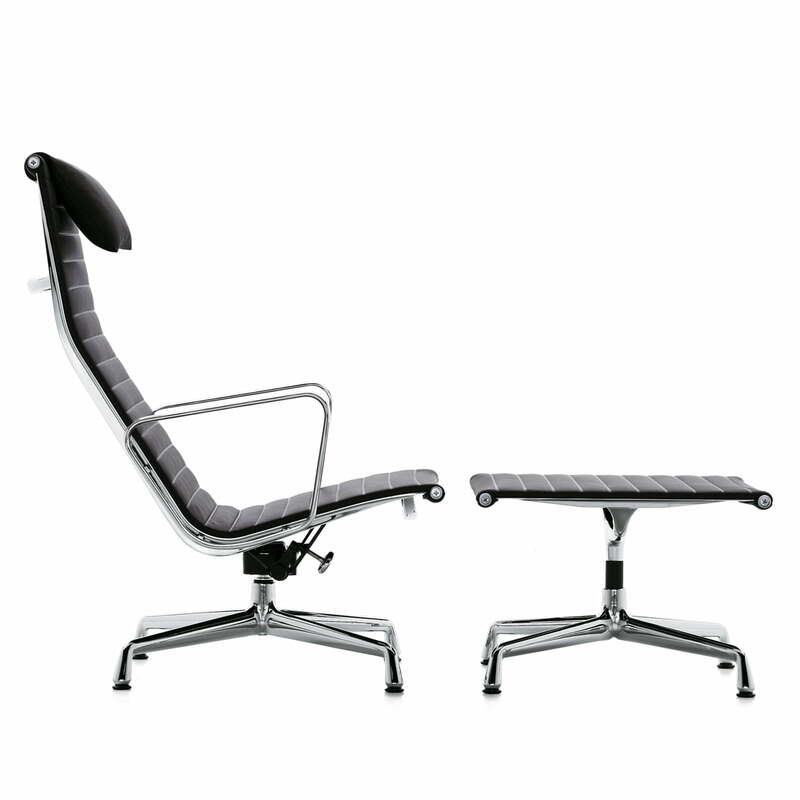 The Aluminium Chair stands out for its intelligent combination of materials. 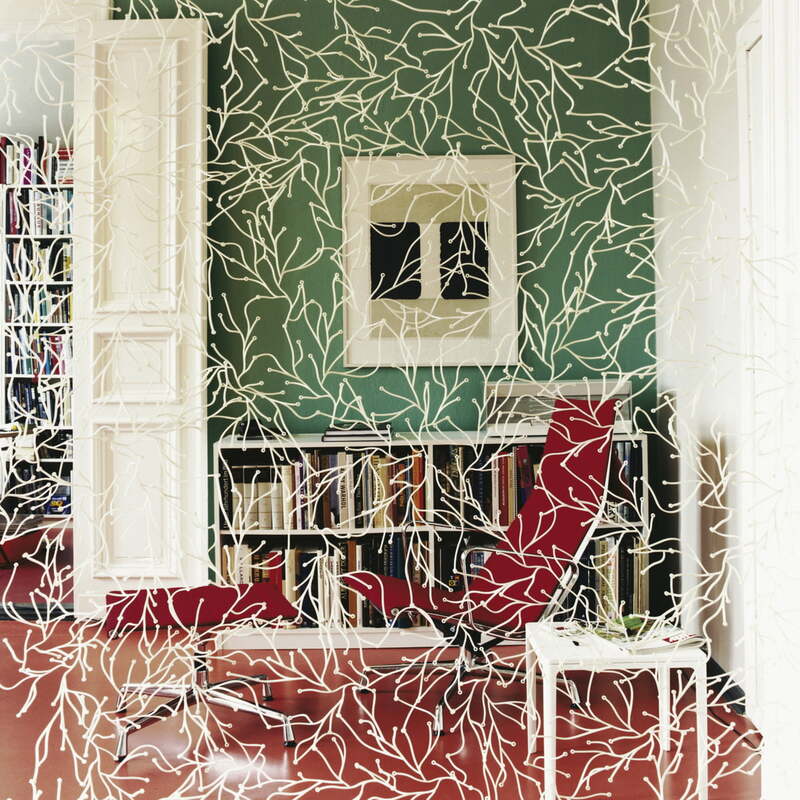 The covers are attached inside the aluminium profile sections and simply stretched over the frame, transforming them from mere coverings to a load-bearing part of the structure. It adapts to fit the body snugly and delivers great comfort, even without extensive upholstery. 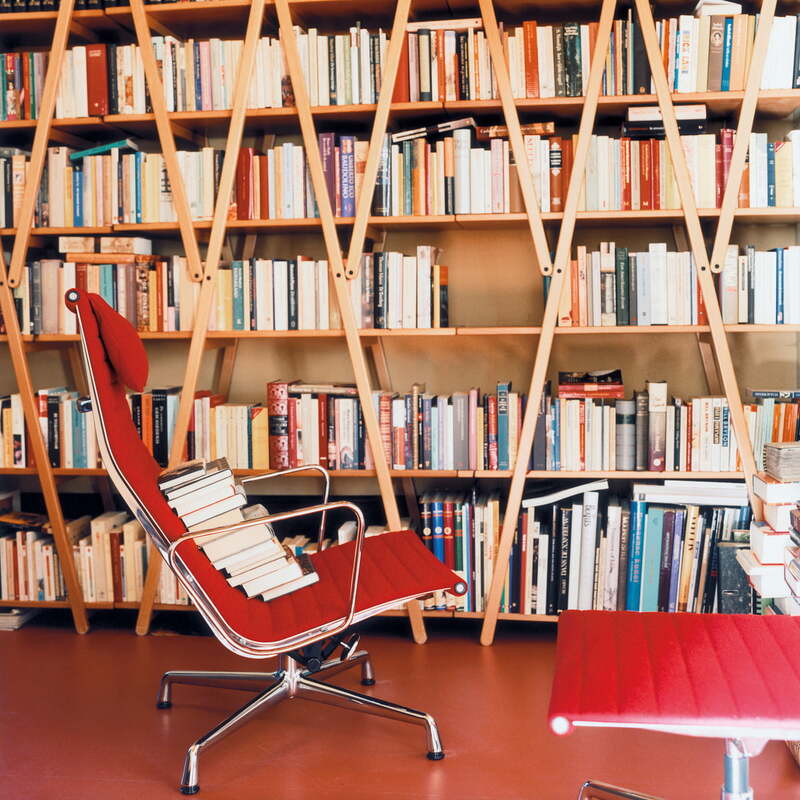 Vitra produce the Aluminium Chair programme for many decades in an unchanging high quality. 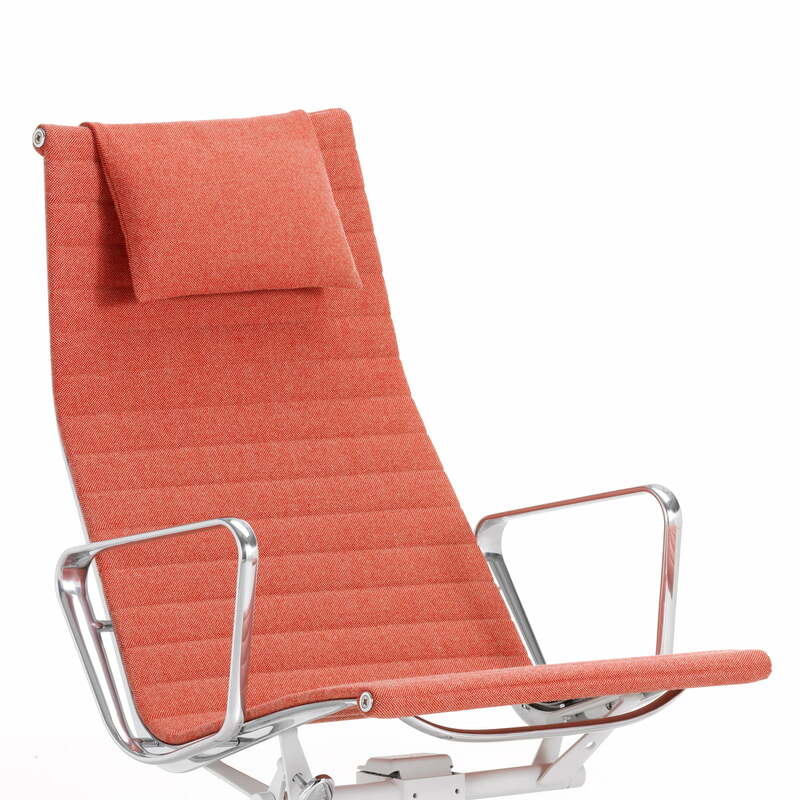 The lounger EA 124 is also available without armrests. Moreover all models can be ordered in further colours.